Valeant has a new distributor: U.S. pharmacy chain Walgreens Boots Alliance. That’s a relief after recent upheavals that could have left the $40 billion drugmaker short of sales channels. But the company’s reduced revenue forecast for the fourth quarter, delivered at its investor day on Wednesday, suggests health insurers and pharmacy benefit managers – PBMs for short – are forcing Valeant to cut prices. That’s less good news. Valeant dropped its relationship with specialty pharmacy Philidor in October after analysts raised questions about the legality of some of its activities. That has hurt. Philidor accounted for about 7 percent of revenue, according to the company. 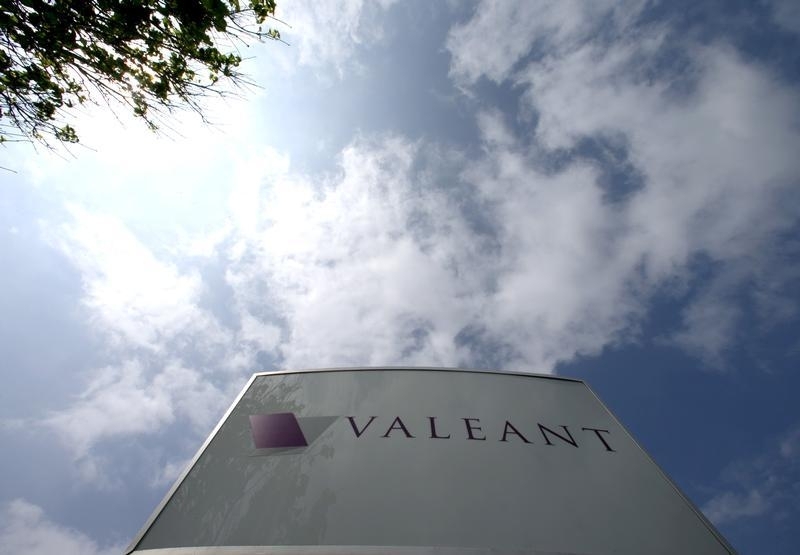 Valeant, though, has lowered its fourth-quarter sales guidance by more than 15 percent. Having to take lower prices is part of that, while PBMs like CVS Health are also refusing to pay for some Valeant drugs, demanding patients use cheaper alternatives. The Walgreens agreement ensures prescriptions will be filled with Valeant’s drugs. Valeant will take the risk that insurers won’t then pay for them. There’s a cost, too. In addition to distribution and stocking fees, Valeant will discount its wholesale prices for eye and skin drugs by 10 percent. At least 30 products for which there are generic alternatives will see price cuts of about 50 percent. Valeant says cutting out the middleman will benefit itself and Walgreens – not to mention insurers and the government through reduced prices. That seems a rather Panglossian assessment. For its own part, Valeant is counting on making up in volume what it loses in price. PBMs, however, are pressing their advantage. With $30 billion of debt, the legacy of its only recently shaken acquisition habit, Valeant needs revenue and can’t afford a lasting standoff in negotiations over price. The company says it will pay back more than $2 billion of borrowing next year, applying nearly all free cashflow. That’s all well and good, but with Valeant’s M&A machine in mothballs and the company’s prowess at finding new drugs questioned by analysts, the risk is that the top line could stagnate or even fall. That would only make Valeant’s negotiating position weaker still. Valeant Pharmaceuticals on Dec. 16 reduced its forecast for fourth-quarter revenue to $2.7 billion to $2.8 billion, against the company’s earlier expectation of $3.25 billion to $3.45 billion. It also lowered full-year 2015 revenue guidance to $10.4 billion to $10.5 billion from its previous estimate of $11 billion to $11.2 billion. The company cut its expectation for adjusted earnings to $2.55 to $2.65 per share in the fourth quarter from $4 to $4.20 per share. On Dec. 15, Valeant said it had reached a deal to distribute its drugs with Walgreens Boots Alliance. The pharmacy chain will sell Valeant’s products in exchange for a fee. The drugmaker will also offer a 10 percent discount on wholesale prices for dermatological and ophthalmological products distributed through Walgreens. The news sent Valeant’s shares up 16 percent on Dec. 15, though they remain down by more than half since peaking in early August.